I recently realized I had yet to pick up a Middle Grade read this year, and that’s when I stumbled upon this story. I was intrigued by the cover and initially wrongly assumed it was going to be a fantasy read, but Molly Bell And The Wishing Well is actually a contemporary fiction read about (among other things) loss, grief and the moving on. It’s quite a short story, but I think it manages to portray those topics quite realistically while still being understanding and appealing to the age group (roughly 8-12 years). I did have slight doubts about some of Molly’s behavior and the credibility of some of her actions; not everything seemed to be all that realistic and I was surprised by how easily both Molly and Henry seemed to accept everything at their grandparents’ farm. The development of Molly didn’t always seem natural, but it does have a nice message of accepting changes and learning to move on after a traumatic event. I’m sure it will appeal to the age group as the writing style is very easy to read as well and simply flows. I might have had some doubts while reading Molly Bell And The Wishing Well, but it was still a very interesting read with some endearing moments. Molly Bell hasn’t been feeling like herself ever since her mother passed away two years ago, and hasn’t even played her favorite sport anymore since. Now her father is getting remarried and she is not sure what to think of her new stepmother… To make things worse, this deal also included a new six-year-old stepbrother named Henry. The two don’t really get along, but will have to find a way to do so as they will be spending time together on Molly’s grandparents’ farm while their parents go on their honeymoon. Molly learns of the wishing well on the property, and after her Aunt Joan tells her every wish she made there came true, Molly is determined to make some wishes of her own… But does she truly know what she wants to wish for? I was in desperate need of a break from the books I was currently reading and needed something quite different, and that is when I stumbled across this story. I can always appreciate a good historical fiction story, especially when it’s set in a foreign culture… Add a healthy dose of mystery and murder plot and I was sold. Sherlock Holmes And The Nine-Dragon Sigil is, as you might have guessed from the title, a Sherlock Holmes retelling and a very well executed one as well. I’m sure most people are at least vaguely aware of the original characters and I for myself always enjoy a good retelling around these characters if it’s done right. Tim Symonds without doubt did an excellent job both in keeping true to the essence of the original characters; they felt authentic and I felt as if I were taken back straight to that era. The bantering between Holmes and Watson is perfectly portrayed! Furthermore, the descriptions of China, its customs, characters and other facts is very detailed and it shows that the author has researched the topic thoroughly. The plot is intriguing with quite a lot of twists, although I personally could guess who was behind it all quite early on. This didn’t take away from the reading pleasure though as I enjoyed following Holmes and Watson during their journey. Sherlock Holmes And The Nine-Dragon is a very well written historical fiction mystery and the Chinese setting is brilliantly executed. Perfect for fans of the genre! It’s the year 1906 and Sherlock Holmes’ skills might be needed once again… Although this time in the faraway Peking. There are rumors a deadly plot is hatching and it’s up to Holmes to discover whether such a plot exists and if so stop it before it’s too late. But who exactly is the intented target in the first place: the young and progressive Ch’ing Emperor or his aunt, the fearsome Empress Dowager Cixi? Either death could lead to a catastrophe and it’s up to Holmes and Watson to try to find and if so unravel everything in time. I love stories with a different setting so the fact that The Last Valentine is set in Puerto Rico was a big selling point for me. Add the promise of the combination of a historical fiction and mystery read, and I just knew I had to read this story…And it has definitely turned out to be an enjoyable read. Both the 1930s setting in Puerto Rico and the whole mystery around the labyrinth of love letters stood out for me. The descriptions are well done and I found myself looking forward to discover more about both the characters and what would happen to them. The writing style is enjoyable and also very quotable. I loved the inclusion of various Spanish words in the prose; it made the story feel that much more authentic without slowing down the pace for those who don’t understand the language. 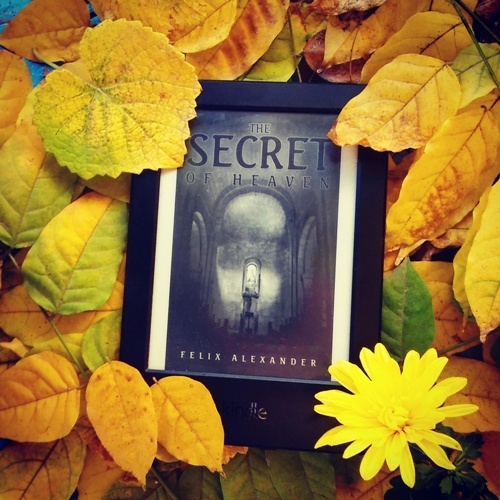 The main plot of trying to unravel the mysteries around the labyrinth is intertwined with various love stories, secrets and conspiracies that will keep you interested until the very end. I did feel the dose of forbidden love, love triangles and romance in general was a bit too high for me and some of the characters started to annoy me because of it, but that might just have been me not liking those elements in general in the first place. 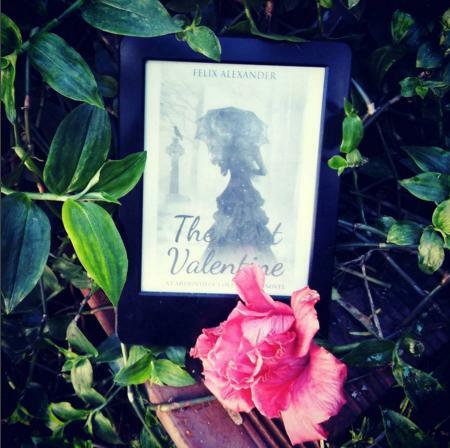 It’s not just the romance between the characters though, because The Last Valentine also talks a lot about romance itself with the help of for example love letters, romance quotes etc. If you enjoy a well written romance novel with a dose of mystery and historical facts will probably enjoy it even better than I did! 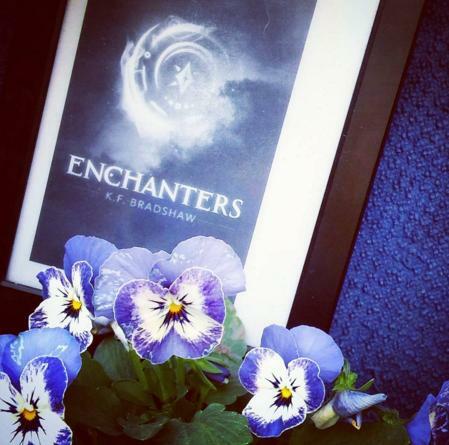 I enjoy reading a proper high fantasy read every once in a while and the cover and blurb of Enchanters managed to catch my attention immediately. It somehow took me longer than expected to finally pick it up, mostly because I wasn’t in the mood for the genre and I didn’t want that to be a bad influence on my experience with this story. I’m glad I finally decided to give it a go though and I have to say I really like the idea behind the worldbuilding and plot in Enchanters. The worldbuilding of the fictional Damea is extensive and I like the clash with the ‘real’ world that represents Cassie’s character. This without doubt adds a whole different dimension to the story and I like how K.F. Bradshaw portrays this difference in worlds and customs in the characters. That said, I do think the story itself is overlong and I feel it would have been more enjoyable with more focus on the action and less on the ‘insignificant’ details and dialogue. These elements slowed down the pace considerably and sometimes even distracted from the plot itself. I also wasn’t completely convinced by the characters and some of them even started to annoy me; especially the bantering between Cassie and Andrea. I did appreciate that it’s a YA high fantasy read with a proper glbt angle though; it’s something you don’t see every day. In short, I ended up having mixed thoughts about Enchanters. The worldbuilding and plot is without doubt interesting, but I did feel the story was overlong and I had some problems with the (sometimes) forced dialogue and characters. The people of Damea have had access to magic for centuries, using it to improve their everyday lives. The so-called enchanters have the power to wield it and magic has been woven into their societies for a long time, but now everything has changed. The magic is dying, and Damea is slowly dying with it… Nobody seems to know how to reverse this, but Andrea is determined to find a way to bring it back. She is an enchanter’s apprentice and has been helping another enchanter for years… But it might take a stranger from another world to actually try and restore the magic. Will they be able to?